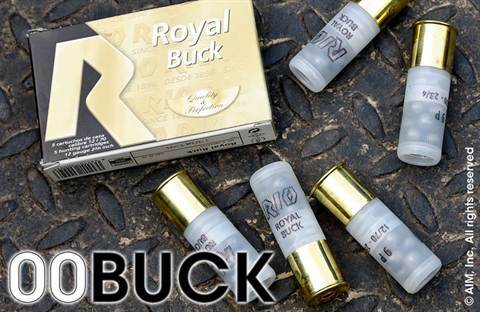 Details: RIO Royal Buck 12 Guage 00 Buck Shotgun ammunition. Features a 2 3/4" Clear Hull, 9 Lead Pelets and 1,345 FPS muzzle velocity. Packaged 5rds to a box, and 250rds (50 boxes) to a case.